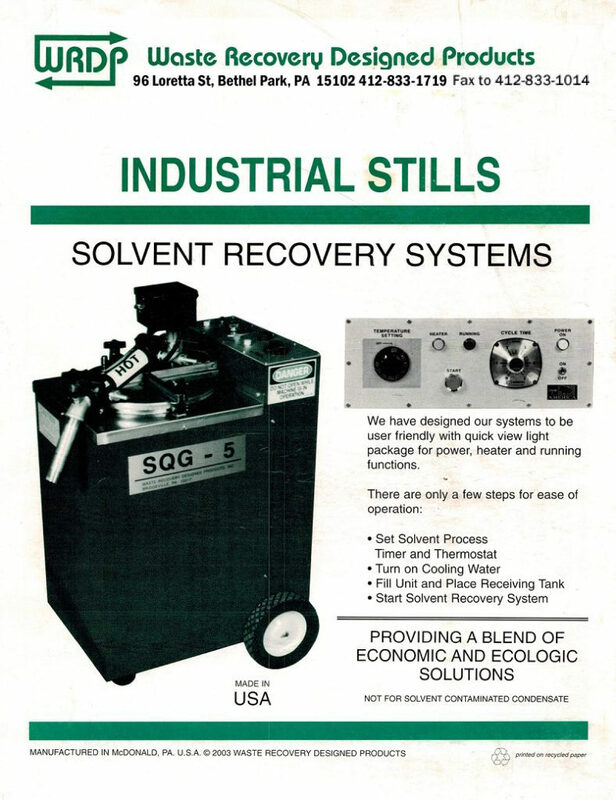 Our Solvent Recovery System is an affordable, high-quality AMERICAN MADE system. 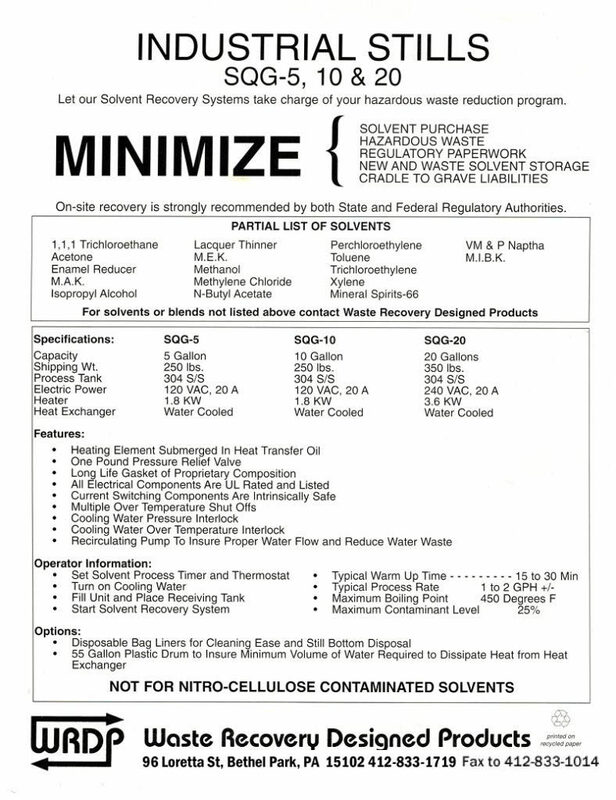 The cost savings of recycling hazardous waste is reflected by fewer solvent purchases, minimal regulatory paperwork, reduced new and waste solvent storage, and cradle to grave liabilities. A. The heating element is submerged in heat transfer oil – solvent does not come in direct contact with heating surface. B. The Teflon lid gasket is designed to be reversible – flip the gasket over for longer life. C. All electrical components are UL or CSA approved and meet or exceed UL 2208 specifications. 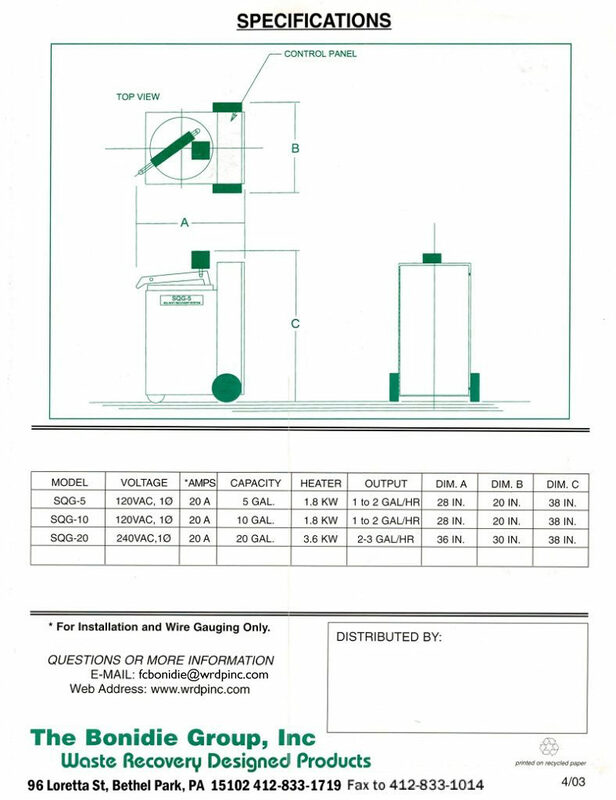 D. The boiler meets or exceeds all ASME welding codes and NFPA code 86, 304 STAINLESS STEEL. 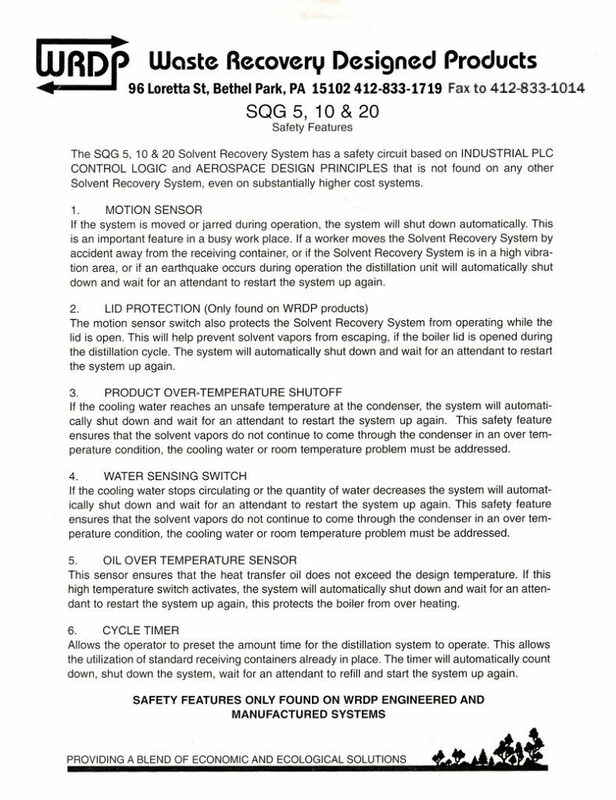 E. The Solvent Recovery System meets NFPA safety circuit requirements, and the current switching components of the Solvent Recovery System are intrinsically safe. F. SAFETY FEATURES and specs – motion sensor, lid protection, product over temperature shutoff, water sensing switch, oil over temperature sensor, and cycle timer. G. Our system is also mobile.